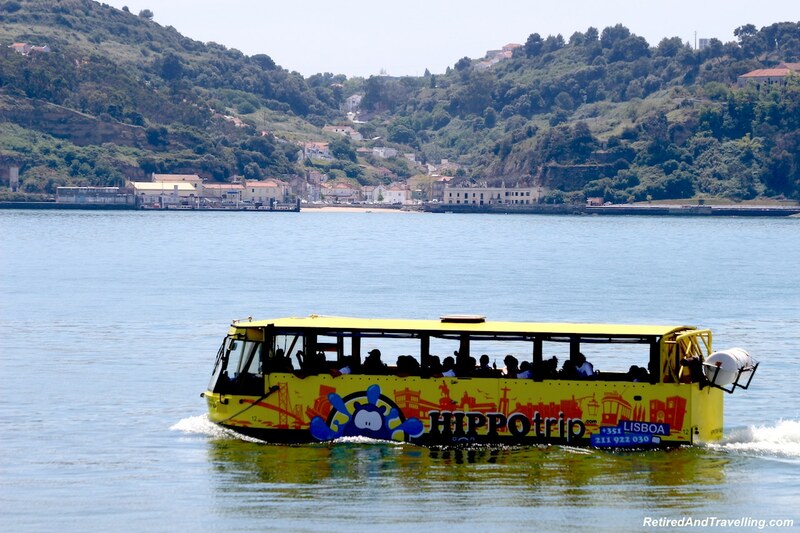 When we visit a new city for the first time, we often take the Hop-On-Hop-Off bus (“HOHO”). We bought a two day HOHO pass in Lisbon. 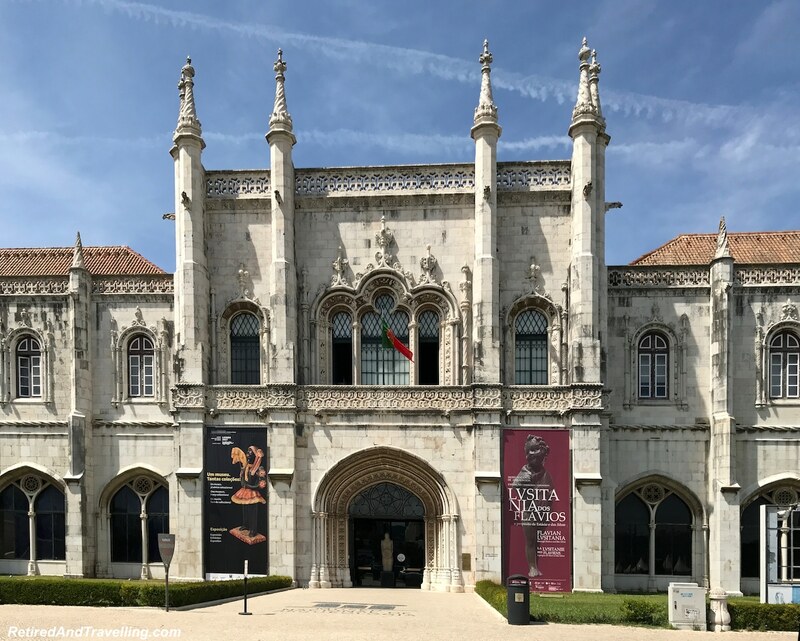 Our first major destination was to explore the Belem area of Lisbon. This let us see several of the major tourist attractions. We find the HOHO can give us a good overview of a city and the key attractions. Sometimes it is a cost effective transportation solution. But we have had mixed success with HOHO’s. The HOHO in Cape Town was probably the most thorough and greatest value of any we have tried. The HOHO in Dubai was probably the worst. We spent hours on the bus and saw very little in Dubai. There were three HOHO companies in Lisbon. We finally decided to take the Grey Hound HOHO because it had a good selection of routes and decent reviews. If we did it again, we might consider the Yellow Bus. While it had less routes, there seemed to be far more buses with shorter wait times. We used the HOHO for two days. 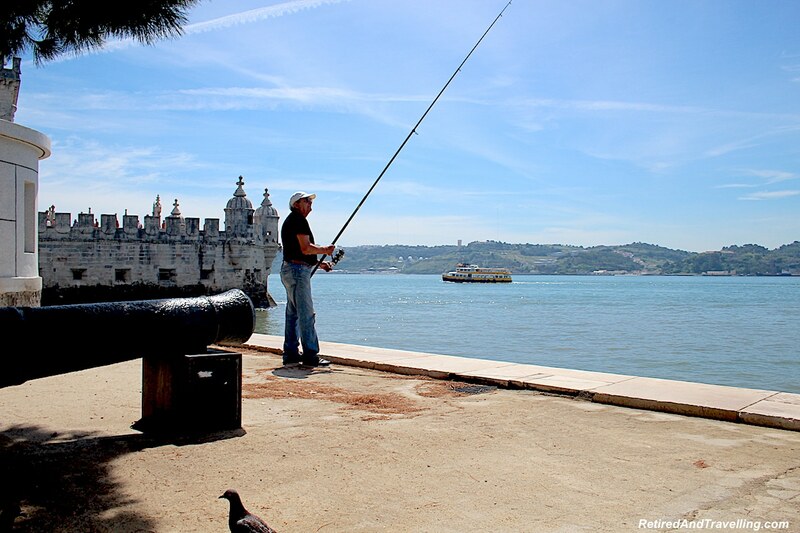 The first day we took the red route to explore the Belem area of Lisbon. The second day we took the blue route to see the sights outside of the main city core. 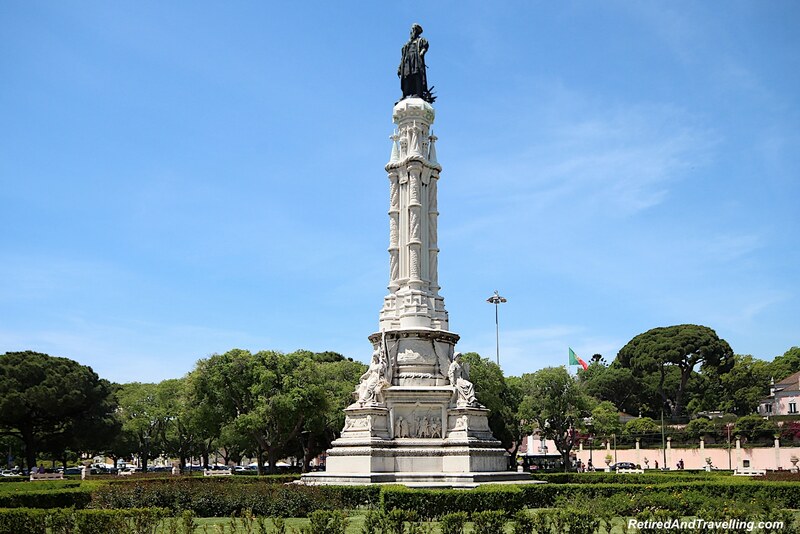 The first part of our HOHO ride took us along the Avenida da Liberdade. 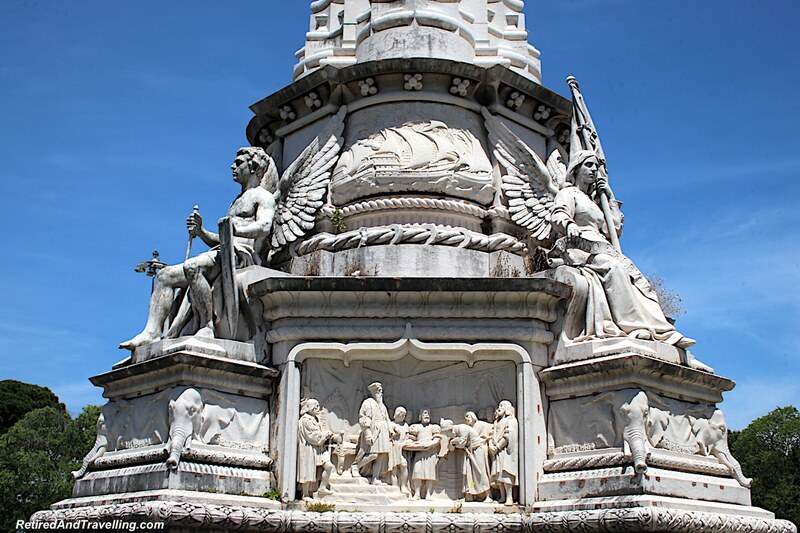 We got to see many of the sights we saw walking in Lisbon. 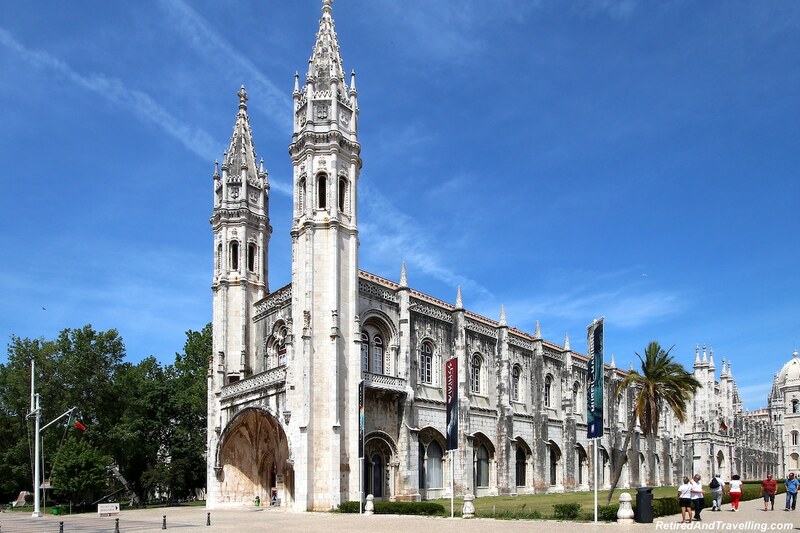 The first major stop to explore the Belem area of Lisbon was the Jeronimo Monastery. As we pulled up the roads were blocked and it looked like a parade was forming up. There were a number of police and military floats setting up. 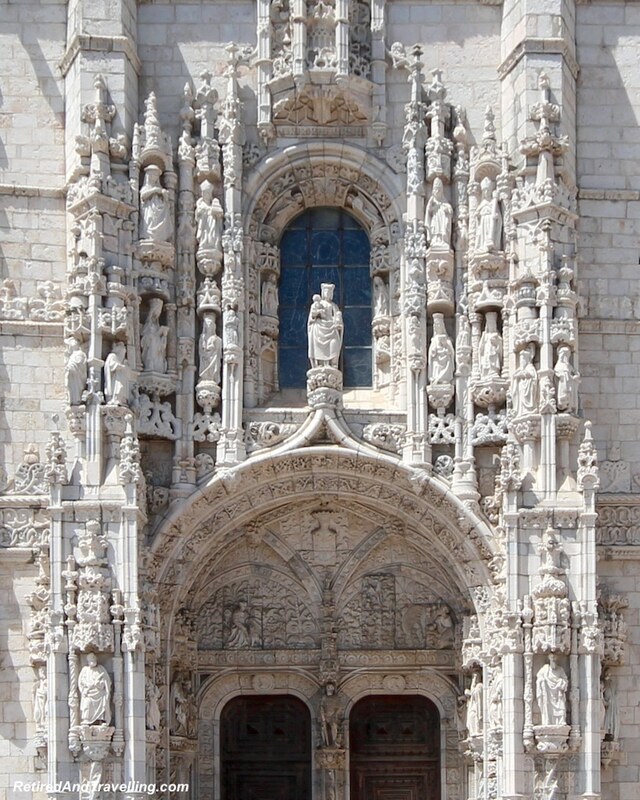 We decided that we would come back to the Jeronimo Monastery a little later. 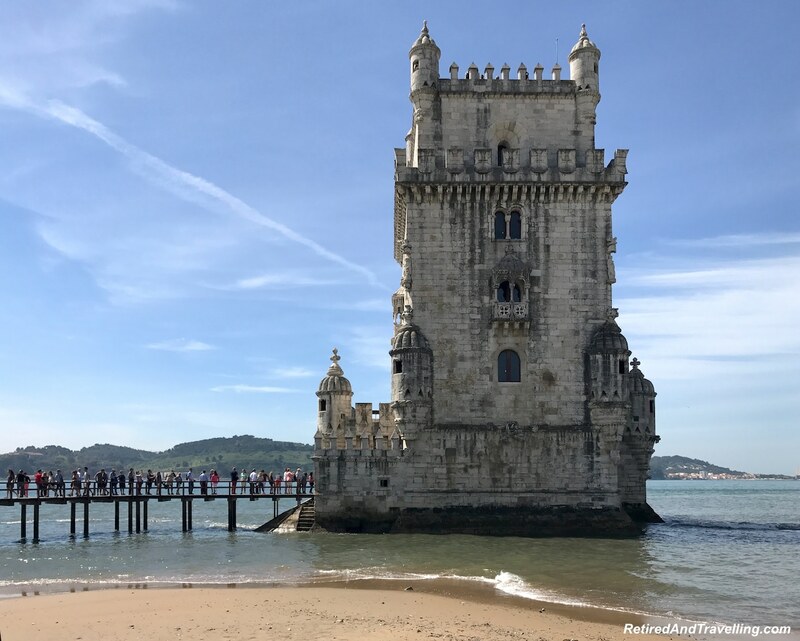 The next stop to explore the Belem area was the Belem Tower. We left the bus here to walk to the next few sights and then board the HOHO at another stop. 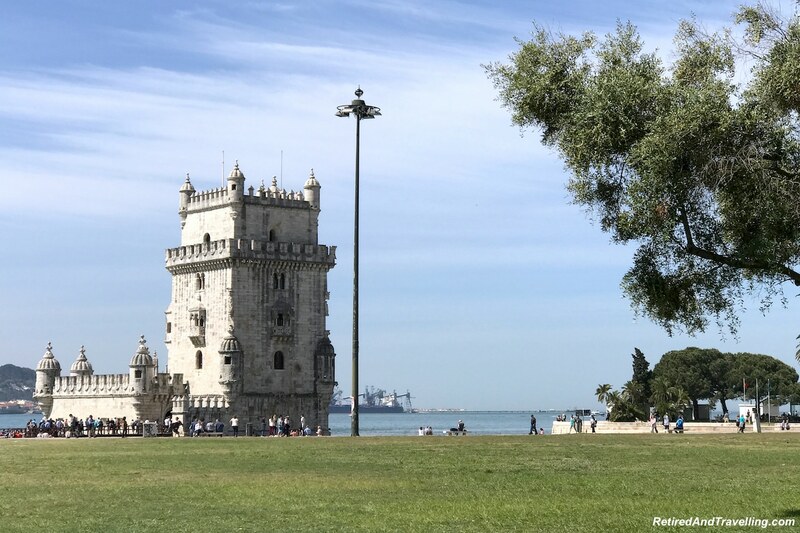 The Belem Tower is a UNESCO World Heritage Site because of the significant role it played in the Portuguese maritime exploration. 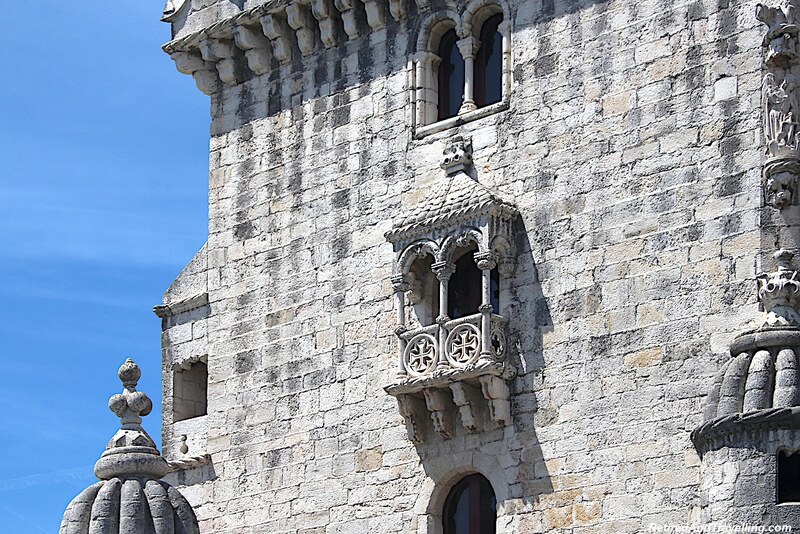 Built in the 16th century, the tower was established as part of a defence system at the mouth of the Tagus River. 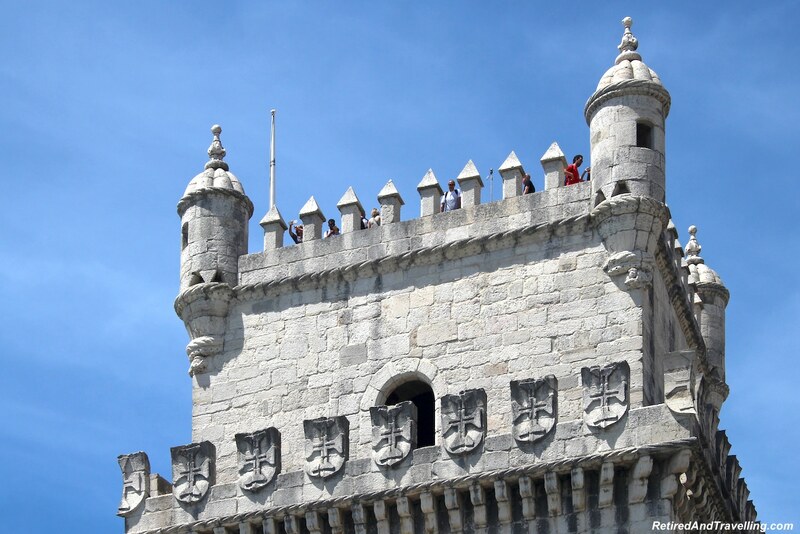 It is seen as the ceremonial gateway to Lisbon. We walked around the tower from multiple perspectives. The tide was going out so we got down on the sand for some pictures. 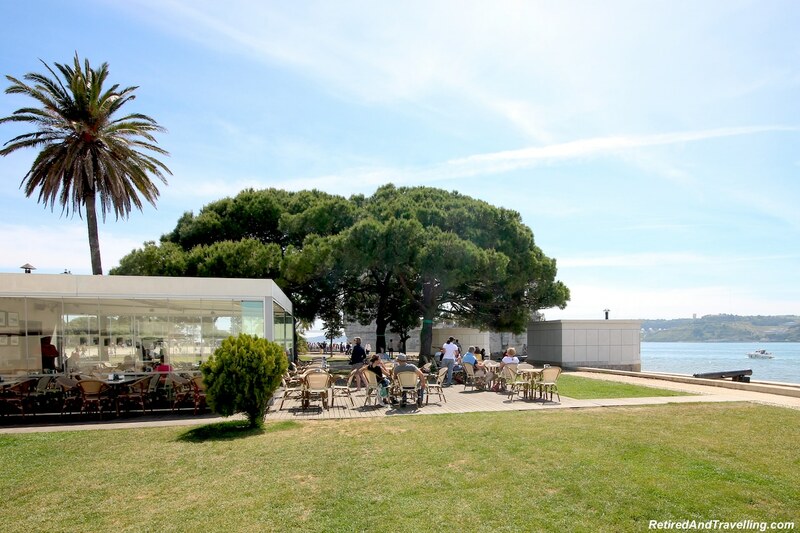 There is a small restaurant by the Belem Tower. The shaded patio was a great spot for coffee and people watching. 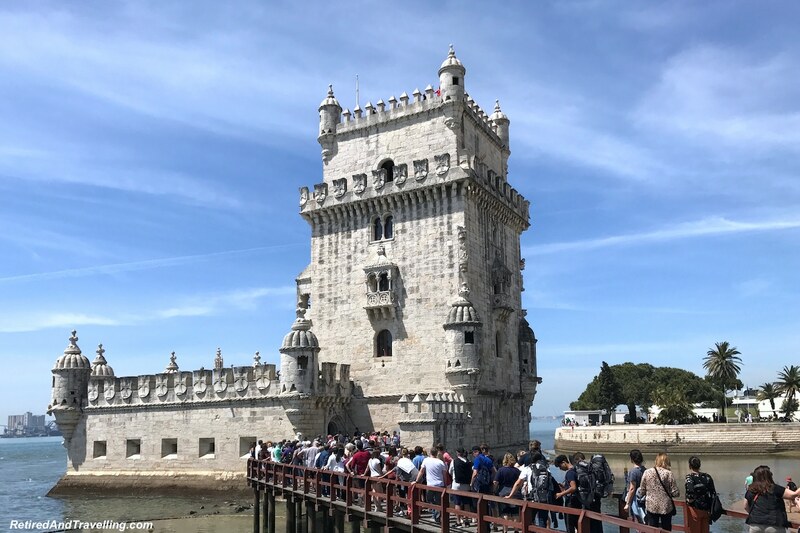 We got in line to actually go into the Belem Tower. 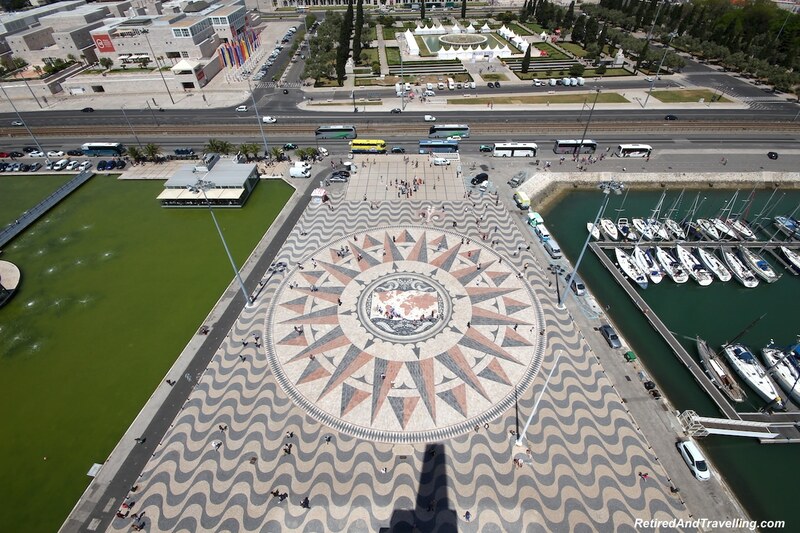 This would give us a Lisbon view from on high if we climbed the tower. 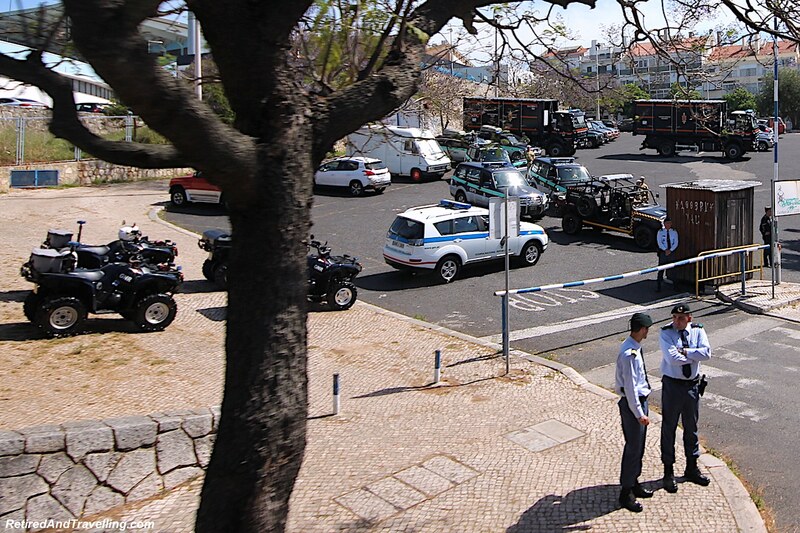 We looked at buying a Lisbon Pass but decided not to buy one on this trip. We bought a London Pass. That experience taught us that you really had to see a number of sights on a tight schedule to make the pass worthwhile. 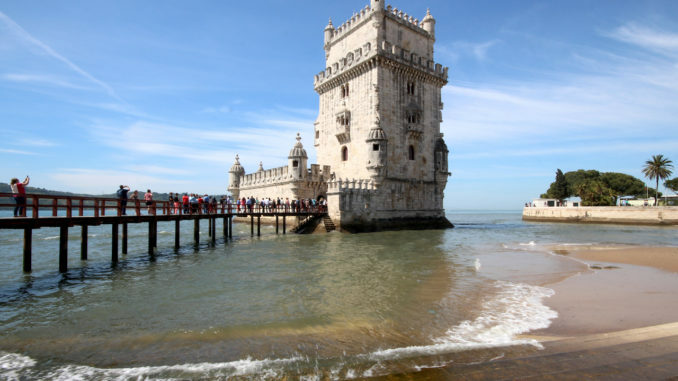 The Belem Tower was one of the sights that the Lisbon Pass provided priority access to. We waited as the line moved very slowly. 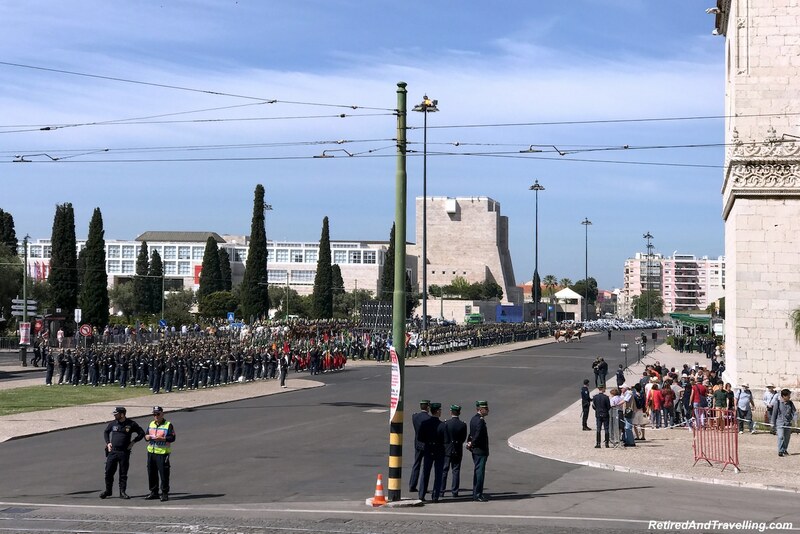 Large groups of people bypassed the line with their Lisbon Pass. We finally decided it was not worth the wait. It was time we moved down the river walkway. As we walked away, we discovered a replica model on the promenade. It was intricate and matched the detail well. 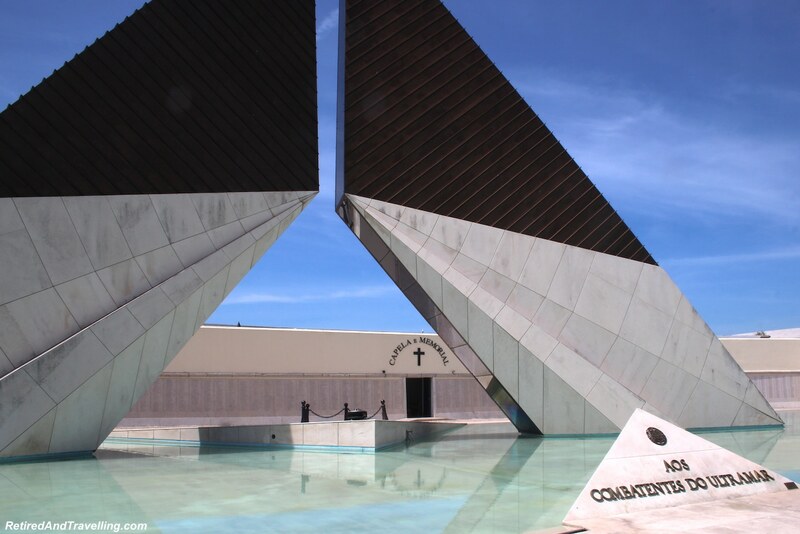 Beside the Belem Tower you will find the “war” museum (“Museum do Combatente”). David spent some time wandering around looking at the plaques while I soaked up some sun in the park beside the tower. 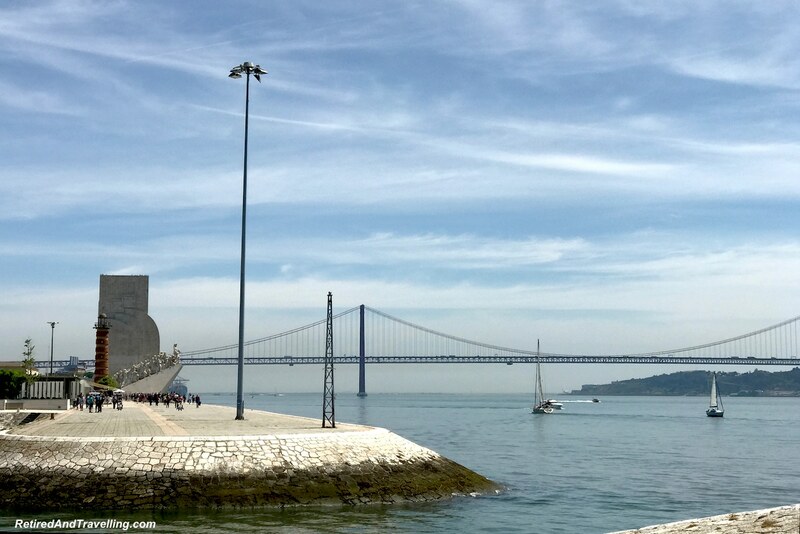 There is a walking path along the water to explore the Belem area. 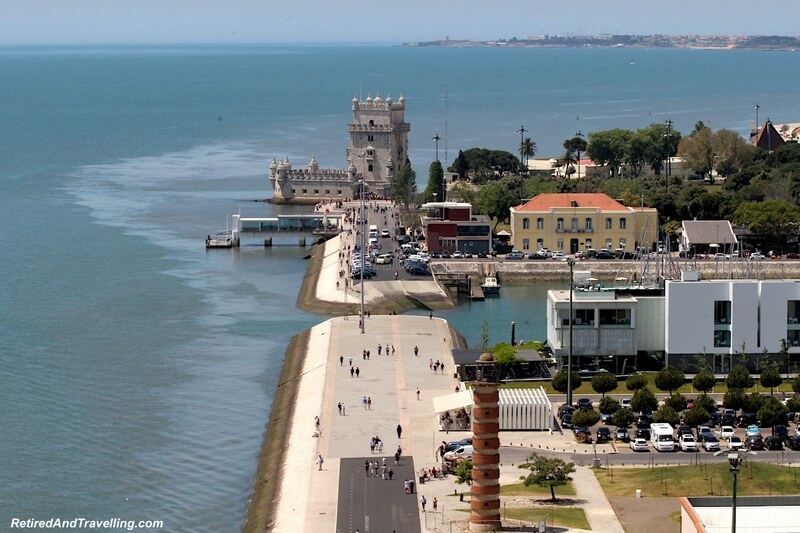 We took this pathway from the Belem Tower to the Monument of Discoveries statue. Along the way we got a great view of the April 25 Bridge and behind it the Cristo Rei statue. 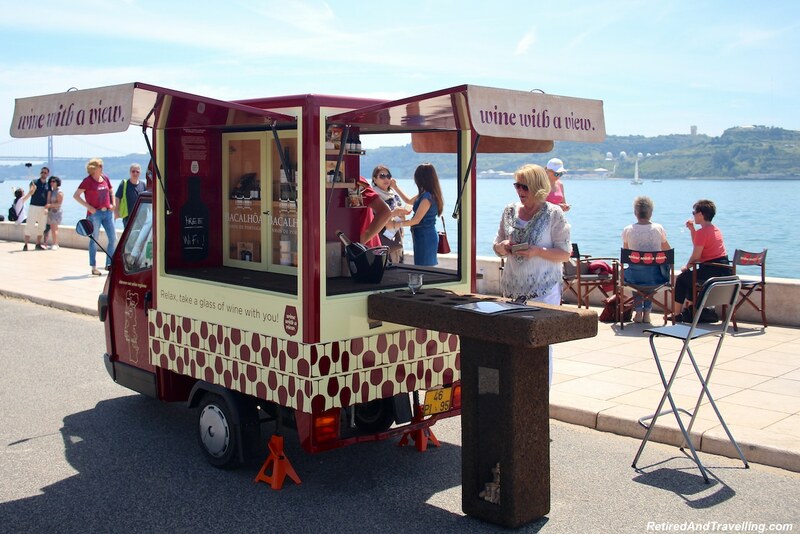 At several points along the promenade we were amused to find small booths that sold “Wine With A View”. We found no coffee but wine was not a problem! We thought we could walk the whole way along the water. 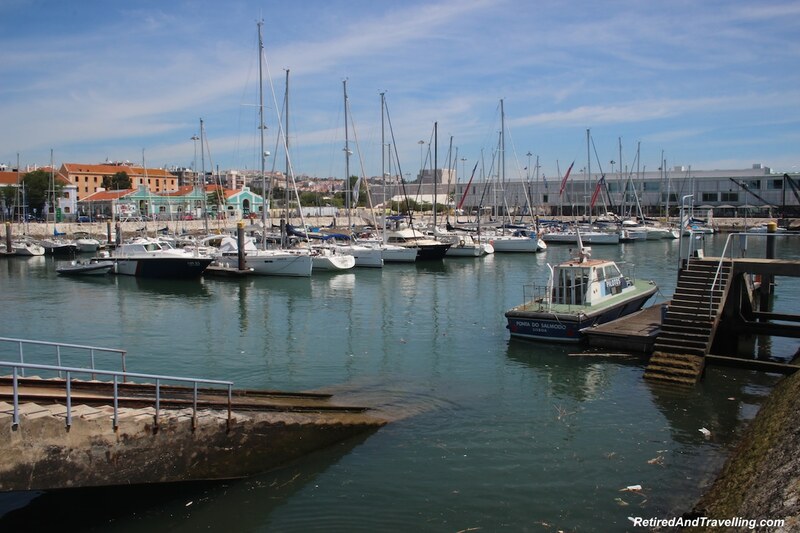 But we soon found that we had to detour back to the road to go around the marina. 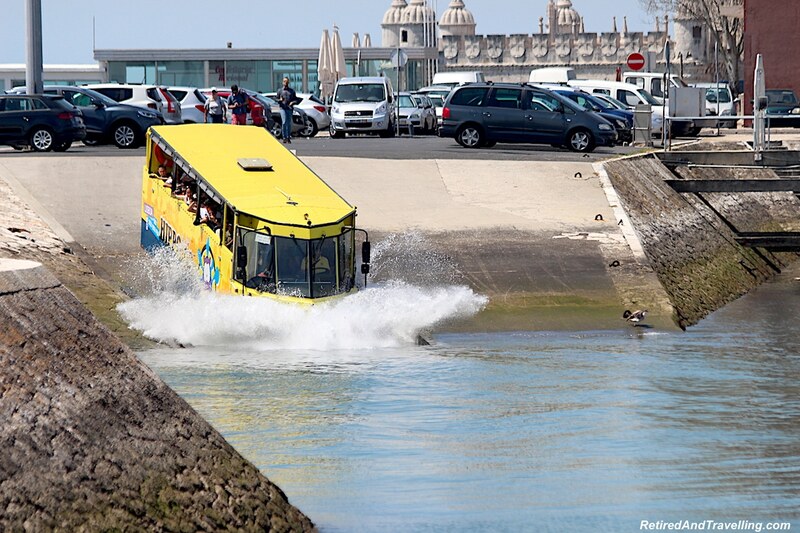 At the marina we saw the Lisbon Hippo bus drive into the water. 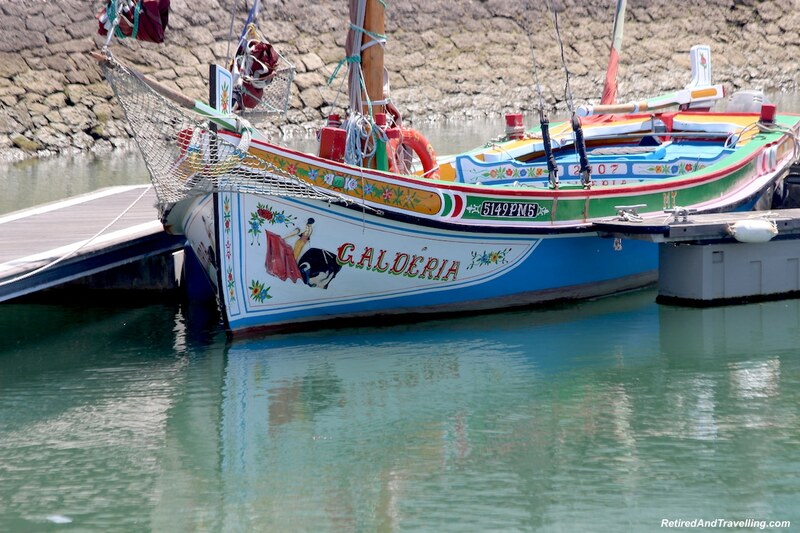 This looked like a great way to explore the Belem area of Lisbon from the water. 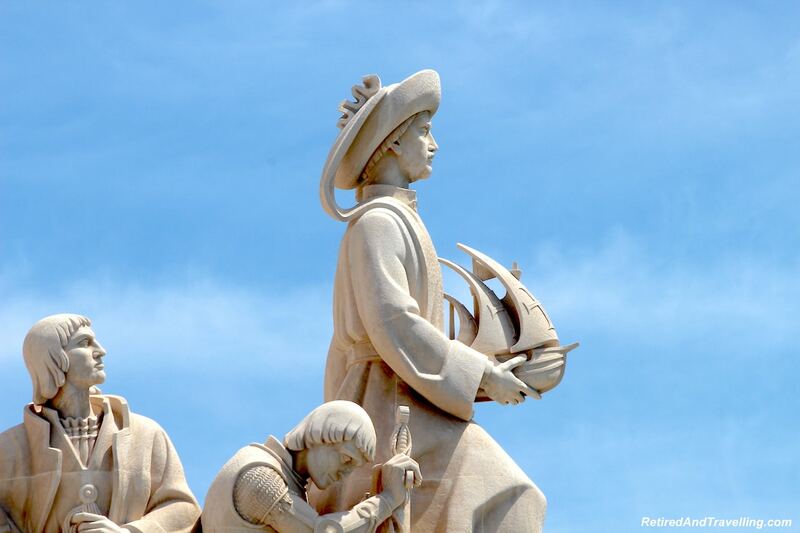 The Monument of the Discoveries (‘Padrao dos Descobrimentos”) statue is a truly iconic sight of Lisbon. 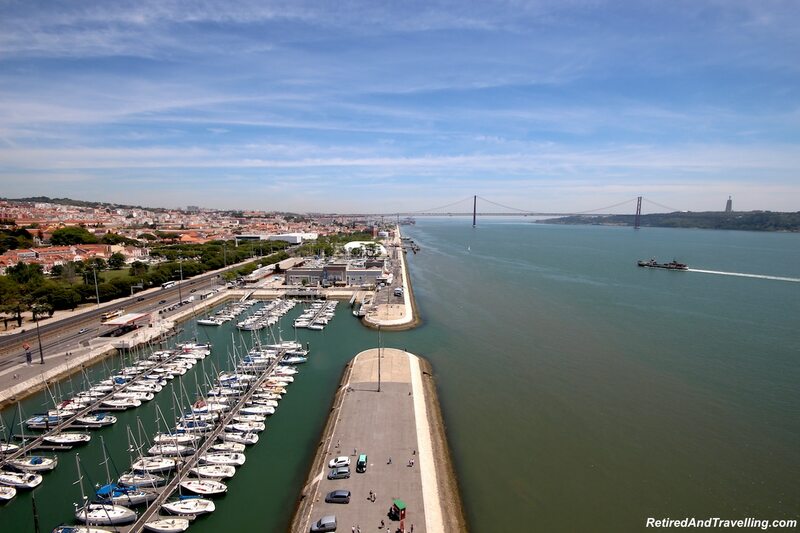 It is a “must do” when you explore the Belem area. 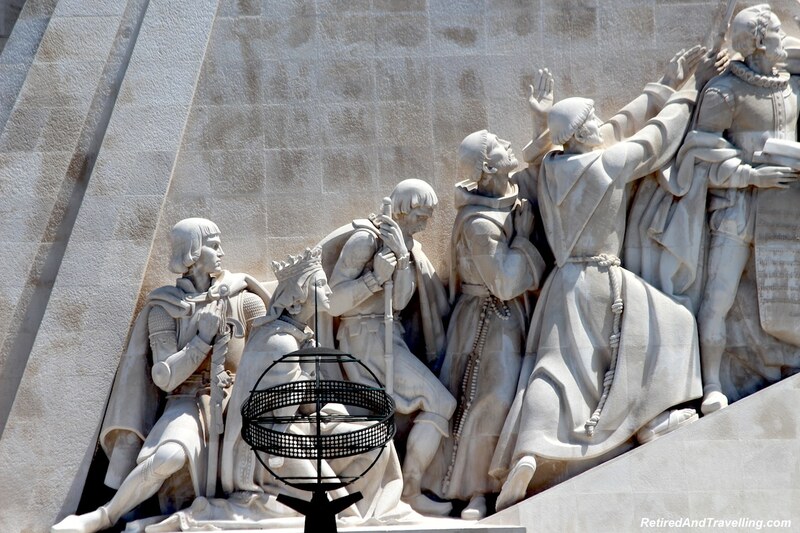 The monument celebrates the Portuguese exploration during the 15th and 16th centuries. 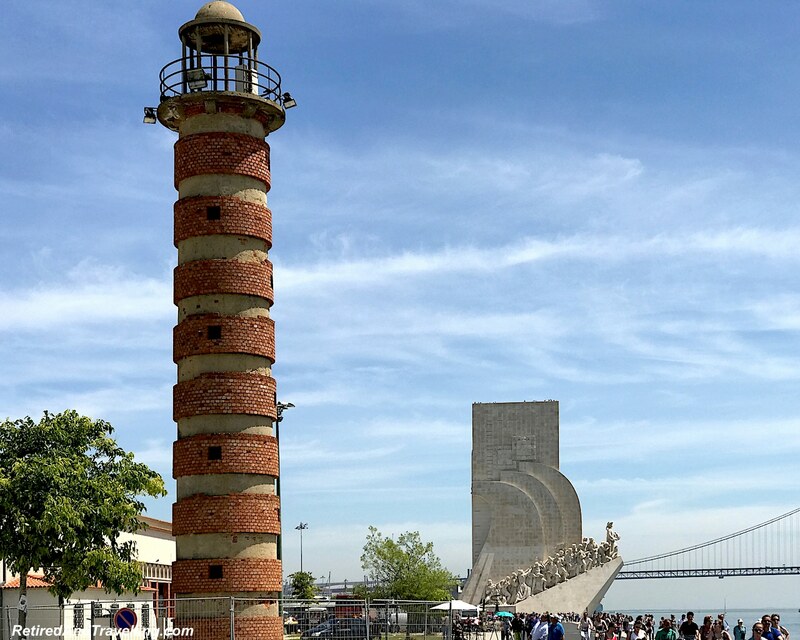 As you approach from the Belem Tower you can see it with a juxtaposition of a lighthouse or a metal earth sculpture. It was interesting from afar but as we got close you could see the detail in the carvings. We were not going to miss the view of Lisbon from on high at this point. The line was short. There was even an elevator to get us to the top. There was a small admissions charge (about 10€ for 2 people). This was another site that was discounted if you had a Lisbon Card. 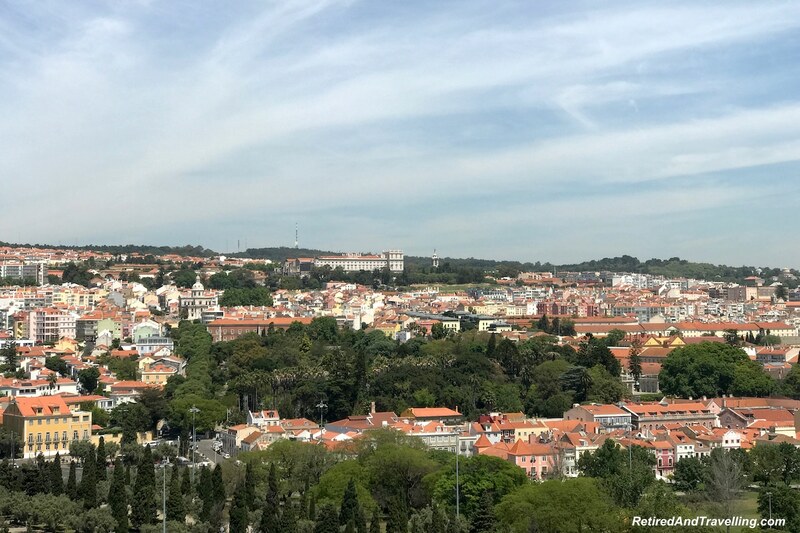 We went up to the top and got a great panoramic view of Lisbon. 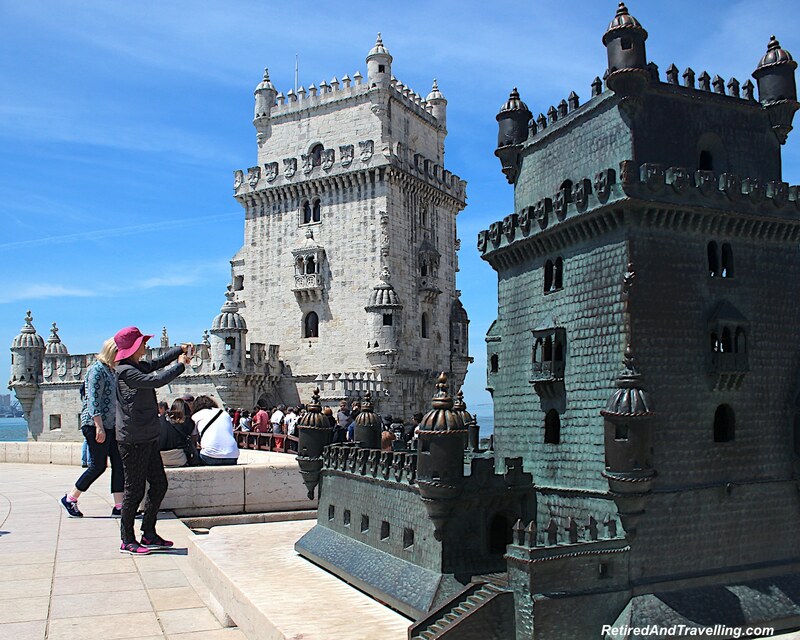 Behind us we saw the Belem Tower. In the other direction we got another perspective on the April 25 Bridge and the Christo Rei statue. Looking straight down over the front entrance, we got a great view of the colourful wind rose on ground. You can’t really appreciate this unless you see it from above. The aerial perspective that we got of the Jeronimo Monastery prepared us for what we would see when we visited there next. We got a good sense of the hills of Lisbon. Buildings cascaded down the hills. 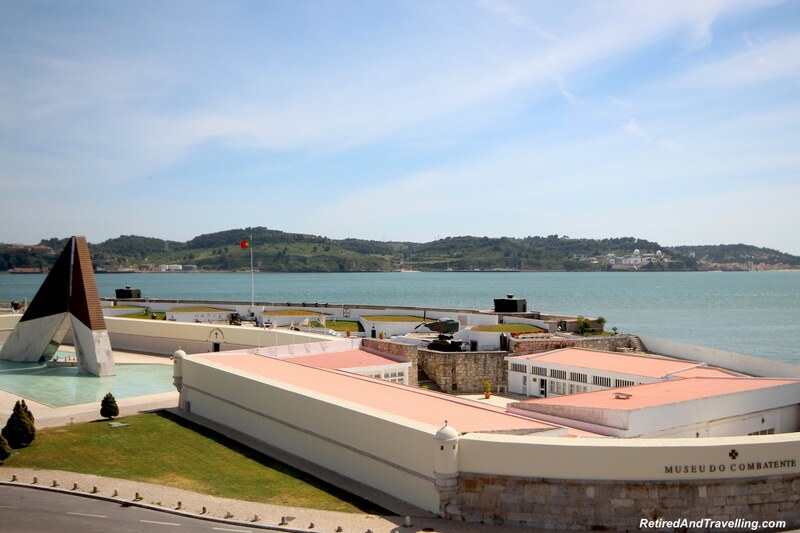 It was no wonder there were so many great high viewpoints around Lisbon. 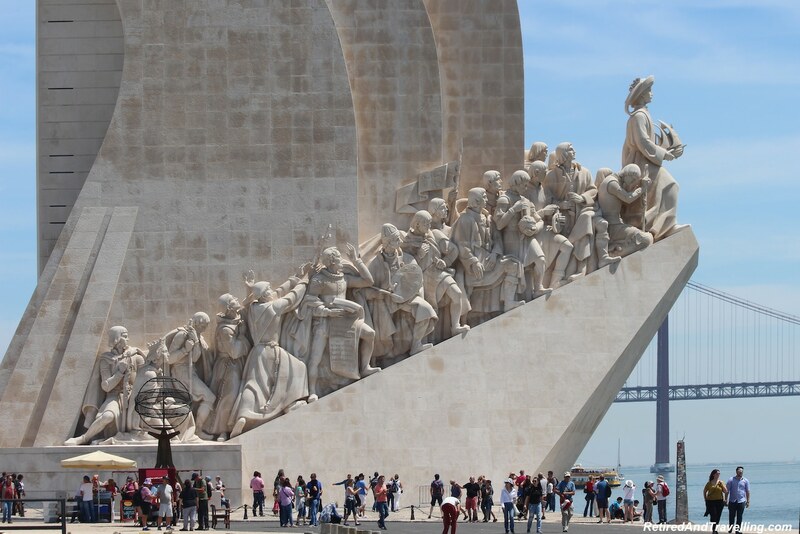 When I looked at the map, it seemed easy to explore the Belem area on foot. It looked like we just crossed a broad street to get back to the Jeronimo Monastery. The reality was that this broad street was really a highway. There were only a few foot bridges over the highway. We found the closest one and headed up. On the other side, we found a shaded park with benches. There were statues everywhere to admire. 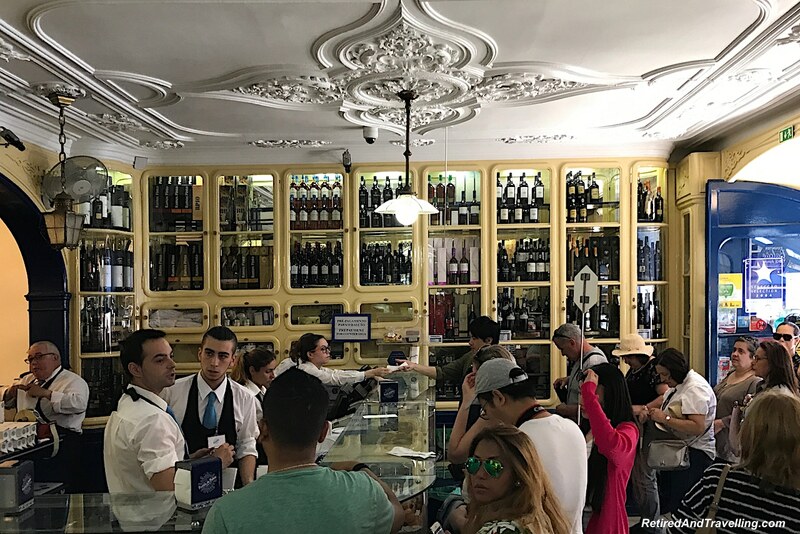 We had one stop that we could not miss on our visit to explore the Belem area. 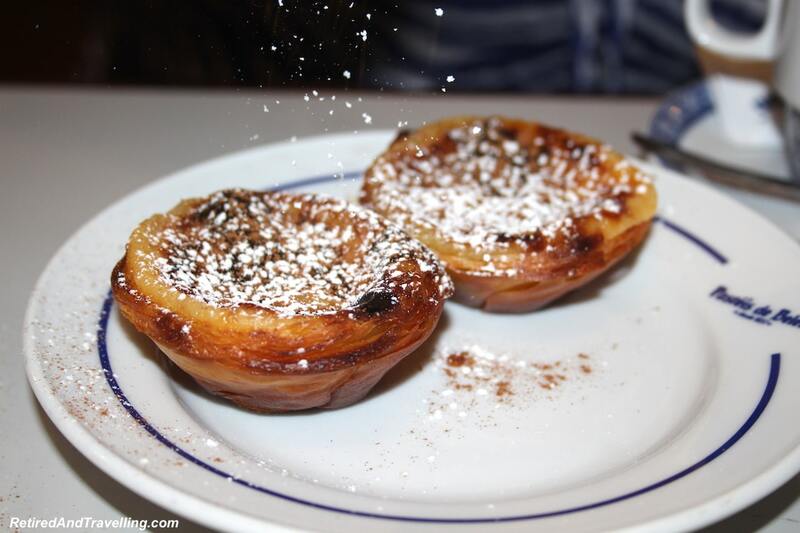 Pasteis de Belem is the original pastry shop that created the famous Portuguese custard tarts (“pasties de nata”). In 1837, the shop was created to sell pastries using the ancient ‘secret recipe’ from the monastery. This recipe has been passed down over the years and remains unchanged to the present day. 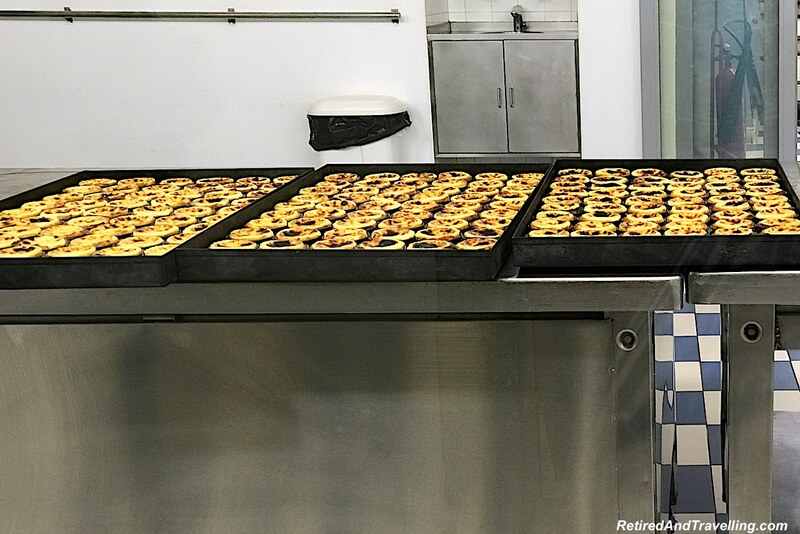 We had our first custard tart when we stopped on our cruise in Madeira. 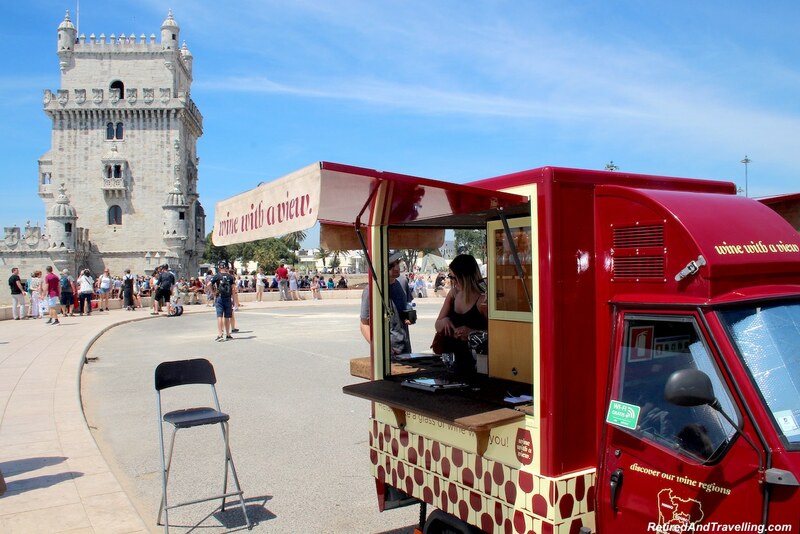 We tried them at other stops in Lisbon but we wanted an original tart. Some people suggested that this was just too touristy. The take-out line up almost stopped us. But then we found the massive internal space had lots of tables. We ordered a coffee and one tart each. The tarts were delicious. Flakey pastry with light filling. The waiter was surprised that we did not order a box to take home. We knew that would not be good for our waistlines! We spent a few minutes walking around the store. Through the glass window we saw the large trays of tarts just waiting to be served. 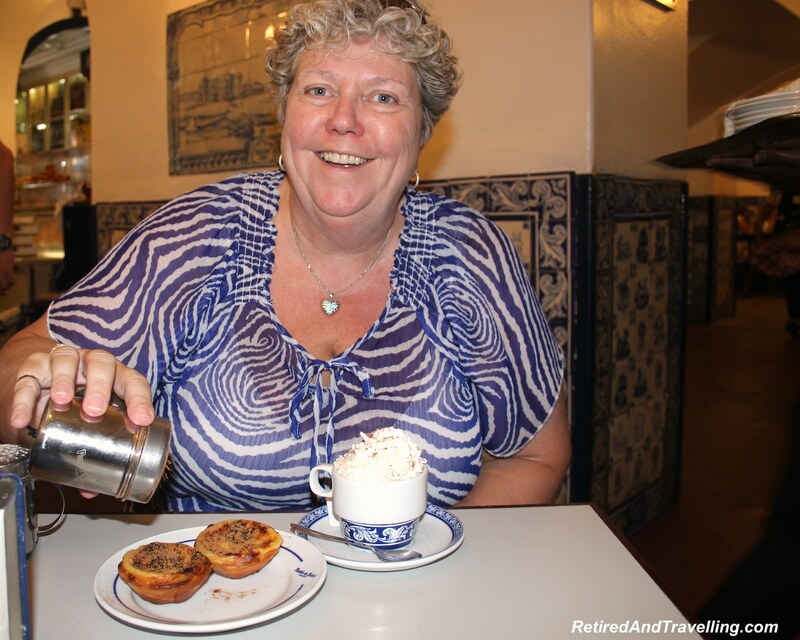 They sell approximately 20,000 pasteis per day! There was interesting tile work throughout the store that everyone stopped to photograph. 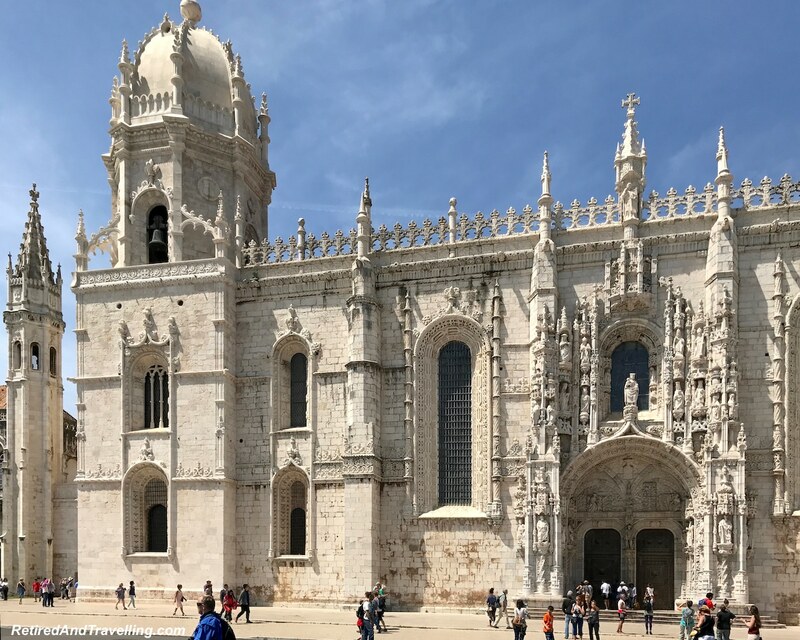 We finally made it back to the Jeronimo Monastery after a very long walk to explore the Belem area. We had no energy left to even see if it was possible to get into the site. The outside facade was amazing in its detail. Located on the same site was the Maritime Museum. As an ex-Navy guy, David was alway interested in maritime museums. But that too would have to wait for another visit. 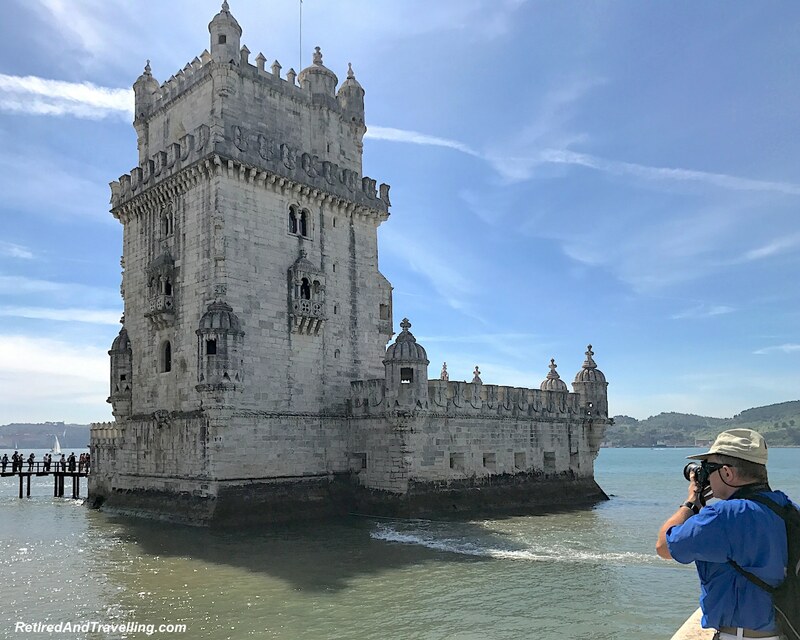 It had been a full day to explore the Belem area. It was a sunny day so we strolled at a slow pace and enjoyed walking by the water. 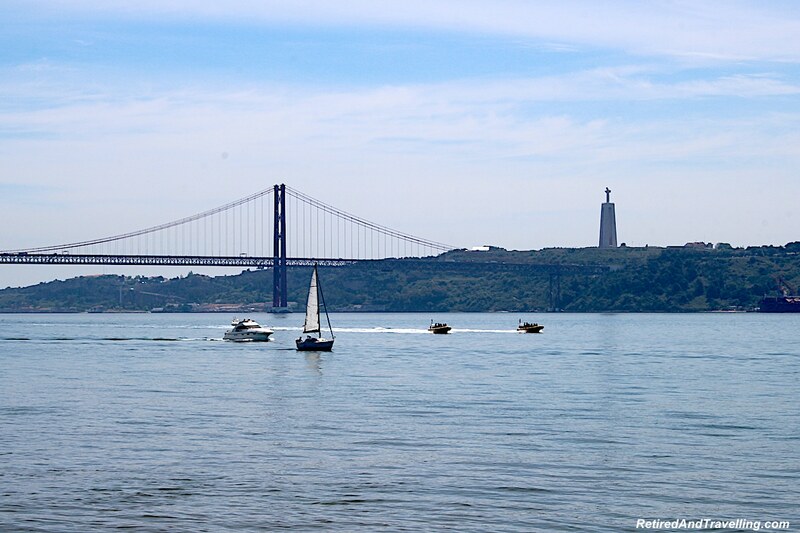 We saw many of the iconic tourist sights of Lisbon. 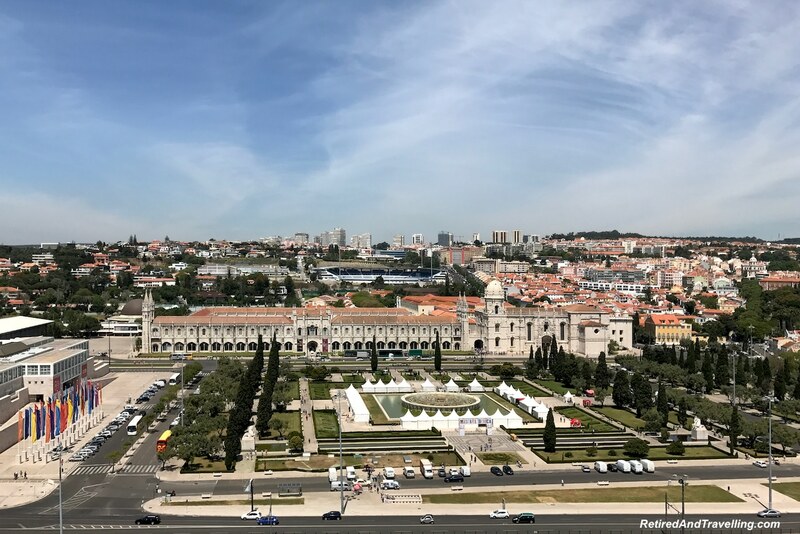 And we got a chance to see Lisbon from on high! 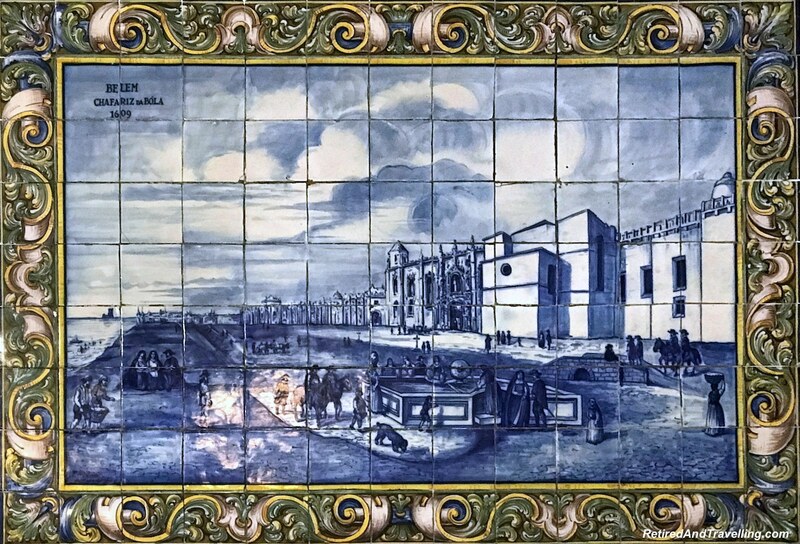 Did you explore the Belem area? What was your favourite site? Had to share what happened to me on my first trip to Portugal years ago. 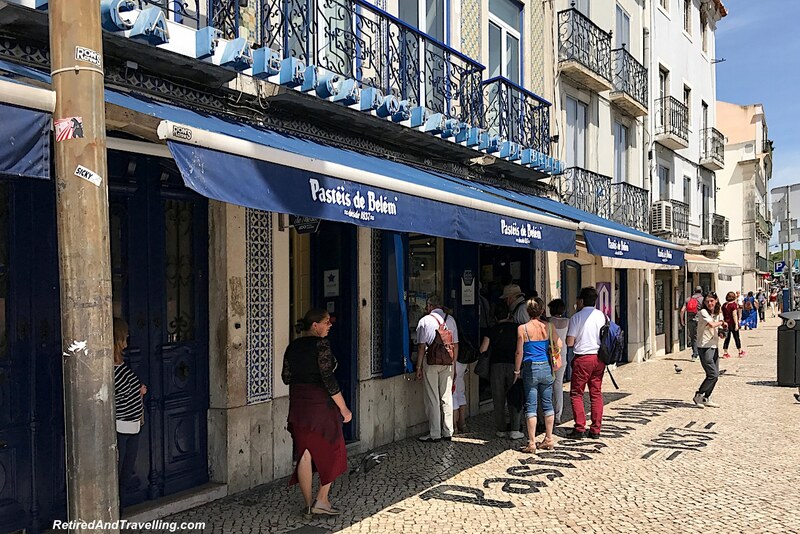 Loved the pasties de natas and back then Pasteis de Belem was THE place to buy them. Determined that my whole family HAD to try these delicacies and FRESH no less, my girlfriend and I headed to the bakery in the early morning, hours before our flight. We did not factor that we weren’t the only ones buying these pastries or how busy the roads were due to major traffic. And as such when we arrived at the airport there was only one seat left as they had oversold the flight! Being the more experienced traveller I told my friend to go ahead first and they put me on the very next flight with Wardair(miss them! )a short time later. The lessons learned that day were 1. airlines really do oversell flights 2. as they say you really do have to arrive at the airport 3 hrs before an international flight(partly due to overselling) 3. champagne breakfasts on Wardair make up(in part)for an oversold flight. My family LOVED their treat so in the end it was worth it I guess!